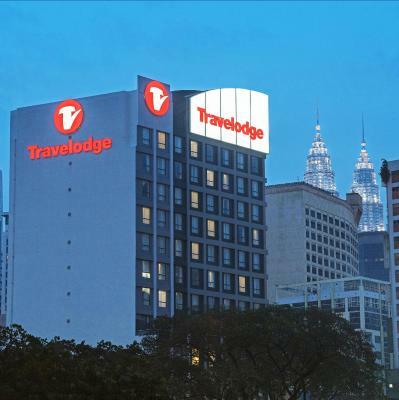 Lock in a great price for Travelodge Bukit Bintang – rated 8.5 by recent guests! Good location - close to twin towers, old city and shopping center. Friendly staff. Quick check in and check out, friendly staffs and quick response. Near mrt station and pavilion-klcc walkway. Everything is good,Cozy bed and the room is spacious .Highly Recommended. Looking forward to stay here again. The view was spectacular! It includes all the comforts I required to function well without worry. The staff even printed out an important form for me. I love how comfortable the bed was. I really had a good night's sleep. The room's very quiet too and you can barely hear anything from next door (except when people are outside running around). 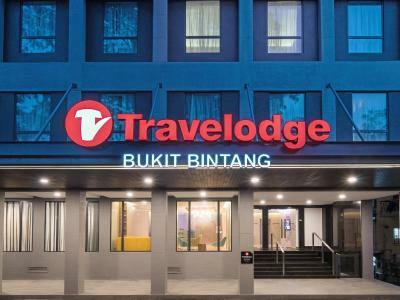 this is second time to book in Travelodge hotel for me it was much better than other hotel quite new v. clean cooperative staff specially the girls beside in center of boket bentang every thing around you specially maroush restaurant. I like it and I will book again in it. 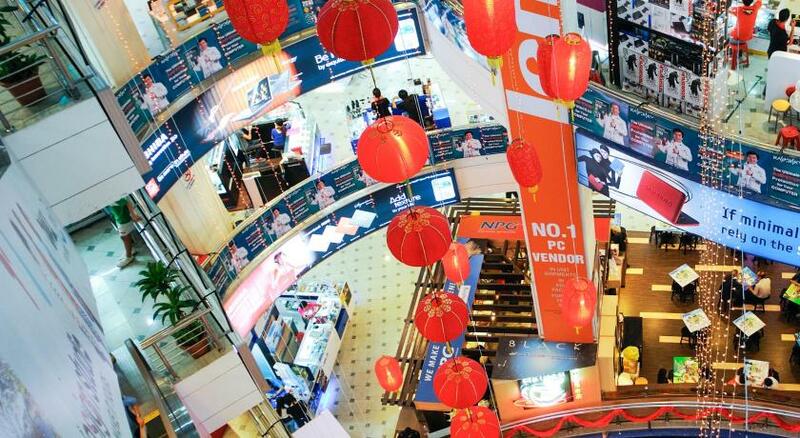 It is a well known Malaysia breakfast restaurant chain. It was good and you can even get breakfast until 10 PM if you happened to miss the morning time. 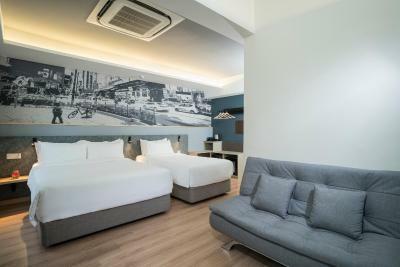 Very friendly stuff, excellent location - right on Jalan Alor street. 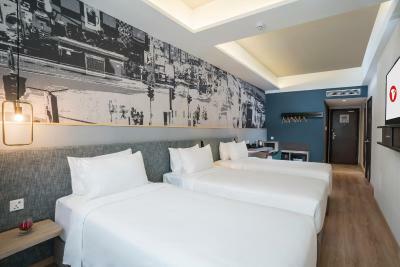 The hotel situated not far from metro station, all big shopping centers in walking distance. 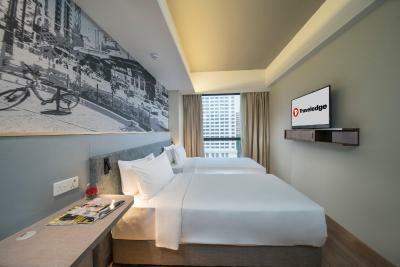 Travelodge Bukit Bintang This rating is a reflection of how the property compares to the industry standard when it comes to price, facilities and services available. It's based on a self-evaluation by the property. Use this rating to help choose your stay! 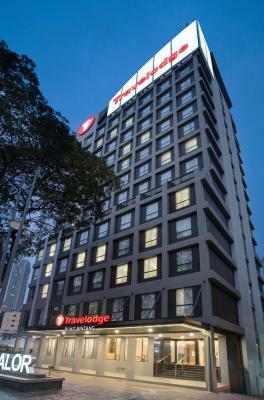 One of our top picks in Kuala Lumpur.Located in the hustle and bustle of Bukit Bintang, Travelodge Bukit Bintang offers accommodations in Kuala Lumpur. Free WiFi is available in public areas. 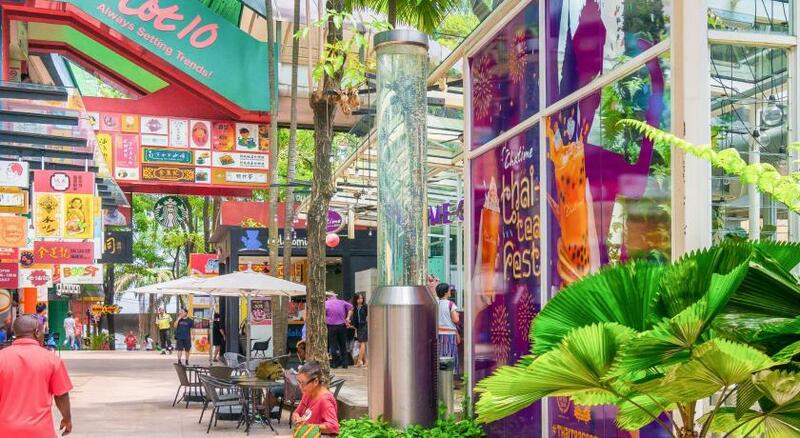 It is 1,800 feet to Sungei Wang Plaza and Lot 10, while Berjaya Times Square is 2,300 feet away. Pavilion Kuala Lumpur is 2,650 feet from Travelodge Bukit Bintang. 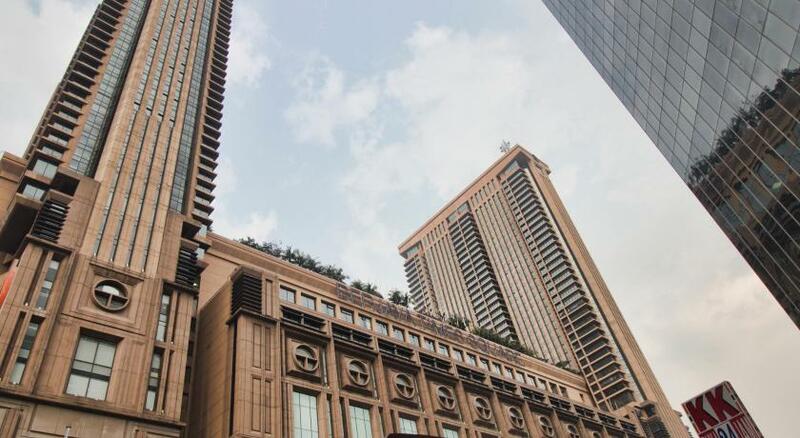 Suria KLCC and the Petronas Twin Towers are 1.7 mi from the property. Kuala Lumpur International Airport is 42 mi away. At the hotel, each room includes a desk and a flat-screen TV. Private bathrooms include shower facilities, a hairdryer and free toiletries. Other facilities at the property include a fitness center. 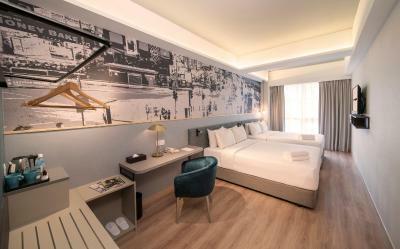 Guests can approach the 24-hour front desk for housekeeping services. 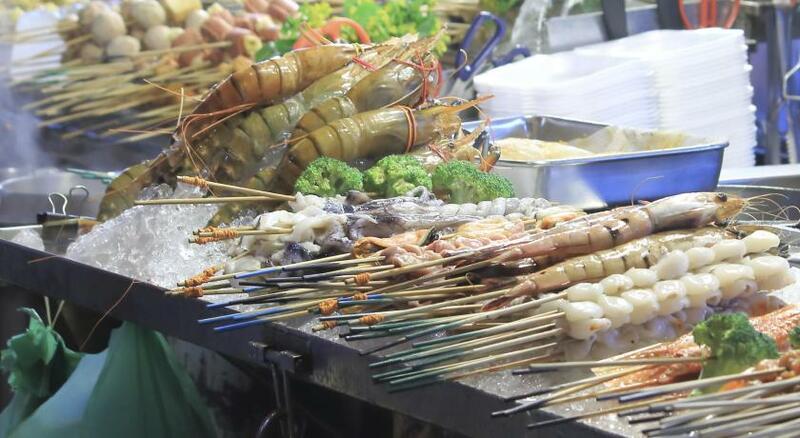 Guests can explore the surrounding area for a variety of shopping and dining options. Healthy all-day breakfast is served daily in Antipodean Café. 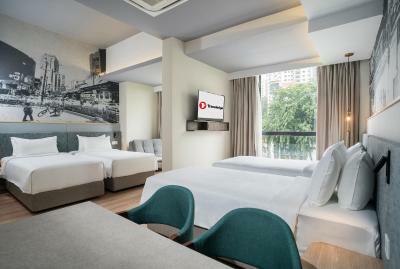 When would you like to stay at Travelodge Bukit Bintang? 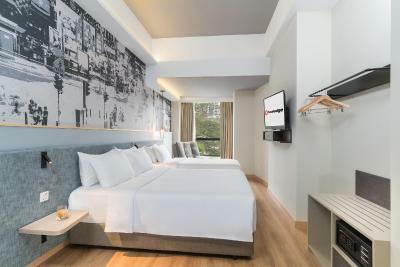 This air-conditioned superior double room is fitted with a flat-screen TV and a desk. The private bathroom includes shower facilities, a hairdryer and free toiletries. 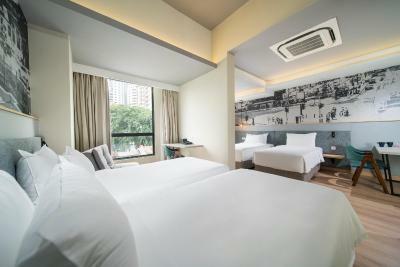 This larger air-conditioned deluxe triple room is fitted with a flat-screen TV and a desk. The private bathroom includes shower facilities, a hairdryer and free toiletries. This larger air-conditioned family room is fitted with a flat-screen TV and a desk. The private bathroom includes shower facilities, a hairdryer and free toiletries. 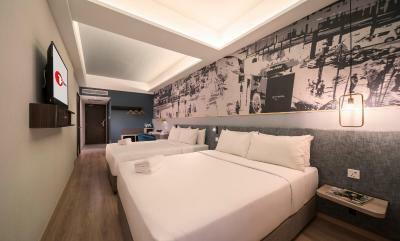 This air-conditioned superior twin room is fitted with a flat-screen TV and a desk. The private bathroom includes shower facilities, a hairdryer and free toiletries. 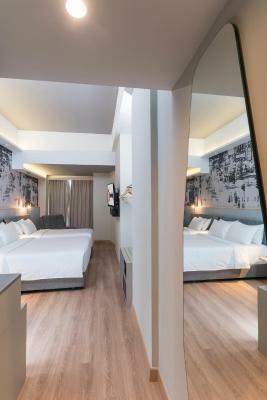 This larger air-conditioned deluxe quadruple room is fitted with a flat-screen TV and a desk. The private bathroom includes shower facilities, a hairdryer and free toiletries. 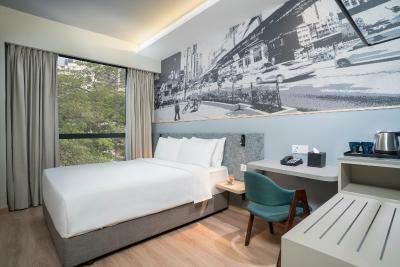 House Rules Travelodge Bukit Bintang takes special requests – add in the next step! Travelodge Bukit Bintang accepts these cards and reserves the right to temporarily hold an amount prior to arrival. location good and close to low yat. bed comfy. Iron not hot and hassle to go Level 1 central room. Busy around the hotel especially if to park, be safe to park at hotel basement. Room is spacious as we booked both 2 Kings size bed. The breakfast menu didn't have many options. 1.) Traffic to this hotel is quite bad as the food strait is very busy. Not sure about noisiness as I requested for quiet room and they allocated me a 9th floor room 2.) 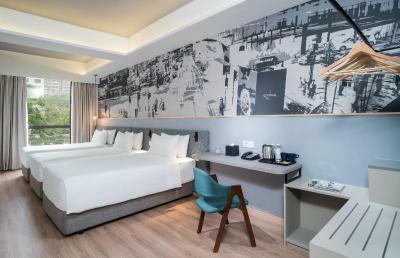 Price might be a little bit concern for budget travel - this is still a 4-stars hotel after all, but when it comes with promotion, it is super worthy! 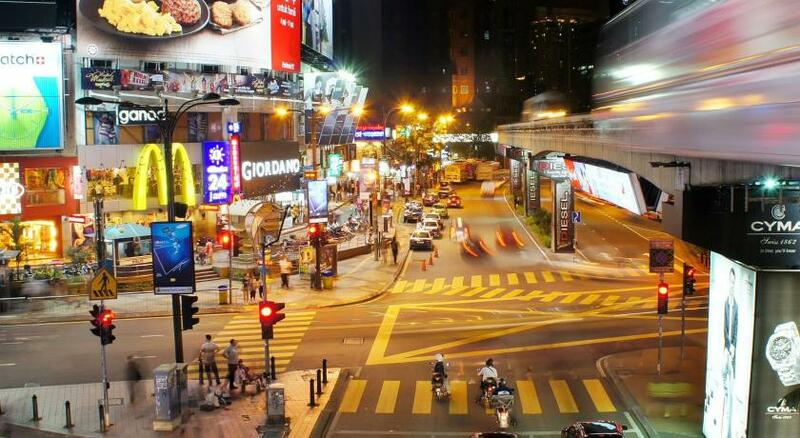 It's a great location right next to the restaurants along Jalan Alor and close to transit and shopping. The rooms are simple but clean and the breakfast bar provides a wide variety of options. Lack of personal amenities such as slippers ang hair dryer. The perfect location,friendly and accommodating staff.